Islamic State’s offensive on the Iraqi capital intensified as the jihadist fighters advanced as far as Abu Ghraib, a suburb only 8 miles away from Baghdad’s international airport. The outer suburb of Abu Ghraib is also the site of the infamous prison the US military used to humiliate and torture Iraqi detainees. 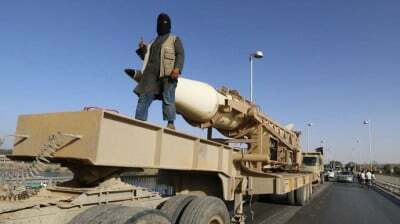 There are reports by the Iraqi military that the militants are in possession of MANPAD anti-aircraft missiles. The short-range, shoulder-fired missiles can shoot down airplanes within a range of 15,000 feet. The Iraqi military, aided by US military personnel, have so far failed in foiling the advance toward Baghdad of the Islamic State militia (also known as ISIS, or ISIL), which has expanded its control of huge swathes of Iraq and Syria despite the increase in US-led airstrikes. A total of 60,000 Iraqi soldiers are assigned to defend the capital, alongside 12 teams of American advisors, an Iraqi officer told CBS News. 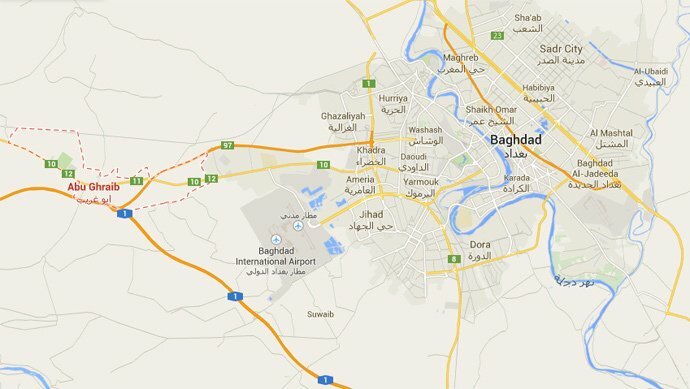 Meanwhile, undercover IS militants active within Baghdad are setting off bombs and carrying out attacks. Swift advances have also been by the jihadist militia in Anbar, where Iraqi officials have made an open plea for military aid, warning the city will soon fall to IS. The situation in Anbar, a town due west of Baghdad, is “fragile” a US official told AFP. IS has seized army bases in Anbar province, and has been shelling the provincial capital, Ramadi, 75 miles (120 kilometers) from Baghdad. CNN reported that Iraqi troops in Anbar are in danger of being bottlenecked, citing a senior US defense official. “We do see ISIL continue to make gains in Anbar province and [are] mindful of how Anbar relates to the security of Baghdad,” another senior US defense official said. Anbar province is home to Iraq’s second biggest dam at Haditha, a major source of water and electrical power. The dam is currently controlled by Iraqi forces, and US airstrikes have targeted IS forces in the area . It has been stated both by the US and Iraq that preventing IS from capturing the area is a key objective, as is holding Baghdad. In Syria, IS forces are vying for control of Kobani, which they now control 40 percent. Kobani is on the Syria-Turkish border and has a Kurdish majority. In June, ISIS insurgents quickly captured Iraq’s second-biggest city, Mosul, north of Baghdad. When they took the city, they seized a large amount of military US equipment originally given to the Iraqi army.